Olin is the second oldest boy in his family. His younger brother Onel lives here at the orphanage with him and the rest of his brothers and his sister live at home in Fond Blanc with their father. His father has a farm in Fond Blanc and his brothers help on the farm. He came to the orphanage for an education. He likes to learn about everything because everything is good. He never got to attend school before moving here in 2012. When he grows up, he would like to become a doctor which requires lots of education. 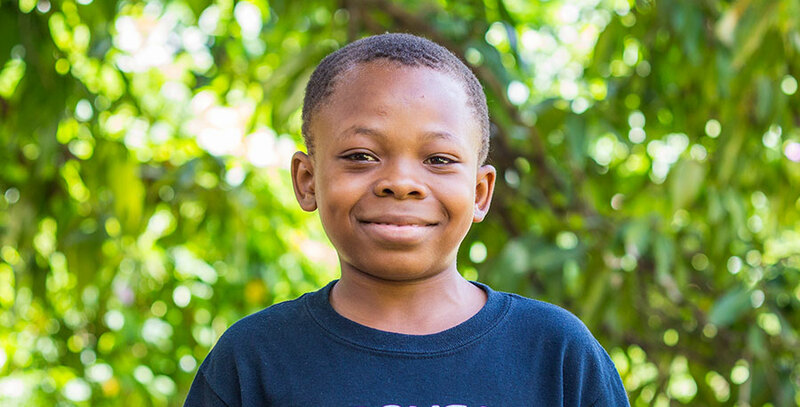 He likes living here at the orphanage but misses his younger brother Okenson because they are good friends. When Olin was a child, he became paralyzed for three months. He doesn’t understand why it happened, but he knows that it was the healing of the Lord Jesus Christ that allowed him to walk once again. Because of that he is forever grateful to the Lord for giving him life every day. Olins favorite activity is to make popcorn for our movie nights and his best friend at the orphanage is Nixon.